With the Vancouver Whitecaps recent acquisition of Kenny Miller, the Canadian side now has two Scottish Designated Players to go along with their Scots coach. In Portland, Scottish DP Kris Boyd has been plying his trade with countryman Steve Smith, and both—until very recently—were guided by a Scots manager. What with the debacle that is Glasgow Rangers and recent dismantling of the Scottish national team by the U.S., some have questioned whether adding players from the shores of Caledonia is going to improve MLS’ overall product. Only time will tell whether Vancouver and Portland will benefit from the infusion of Scotsmen into Cascadia. Time has already told us, however, that Philadelphia has benefited from significant contributions from Scots players over the years. As hard as it may be to believe in this age of salary caps and allocations, the United States was once a major player on the world soccer market. This was especially true in the 1920s, the “Golden Age” of soccer on these shores in the form of the powerful American Soccer League. While an entire book can be written on the Scottish contribution to American football (and, indeed, one has: go read Roger Allaway’s Rangers, Rovers and Spindles: Soccer, Immigration and Textiles in New England and New Jersey), one season in the original ASL is of particular note. Prior the 1924-25 season the ASL expanded to Boston, and the new side was intent on fielding a competitive side. To that end, the Wonder Workers signed Rangers legend and Scottish international Tommy Muirhead to serve as player-coach and he, in turn, helped lure away another Scottish international, Alex McNab. In fact, the McNab signing caused a sensation across the pond, akin to the waves made when a certain Brazilian signed with a New York team 50 years later. There was a slight problem, however; many of the players Boston signed were already under contract with Scottish clubs. Some of these footballers were lower-division players, like Bobby Blair (Helensburgh), and the Scottish FA was willing to look the other way. Things came to a head, however, when the Beantown XI signed Johnny Ballantyne from Partick Thistle, even though he had already accepted “closed-season” wages (a sign of commitment to the next season) before making the move. The “American menace,” as poaching by ASL clubs was called in Scotland, almost led to the expulsion of the United States Football Association from FIFA in 1926. In the end, cooler heads prevailed, America was not exiled in world football, and the practice of contract jumping ceased, even if Scottish contribution to American soccer did not. The 1924-25 season also warrants one other example of American-Scots synergy. Archie Stark, a native Glaswegian who moved to the U.S. when he was 13, scored 67 goals for Bethlehem Steel that year, and a total of 70 in all competitions—a record that stood until this year, when Lionel Messi notched 73 goals in all competitions. 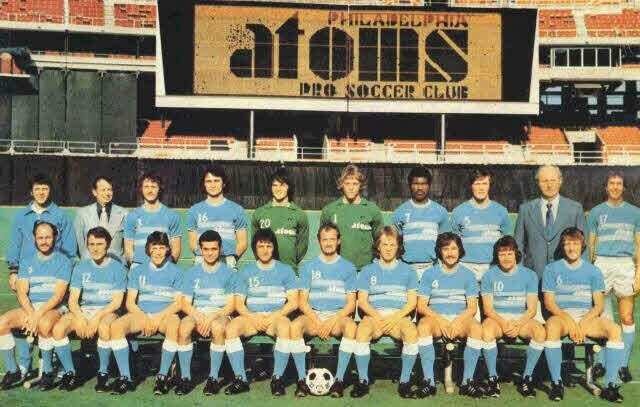 In 1973, the NASL expansion-club Philadelphia Atoms had about two months to put a team together. American coach Al Miller was happy to rely on native-born players like first round pick Bob Rigby, former Penn standout Stan Startzell, and local legends like Charlie Duccilli, Bobby Ludwig, and Lew Meehl. However, he also realized that he would need a core of seasoned British pros to give his young charges the necessary competitive edge. Accordingly, he obtained a number of British players on loan, including defenders Derek Trevis, Chris Dunleavy, and Roy Evans, and forward Jim Fryatt. Rounding out the foreign were two players from Scotland: midfielder George O’Neill and forward Andy Provan. Port Glasgow George O’Neill native had had a solid career in Scottish football, playing two years with Glasgow Celtic reserves before moving on to play with Partick Thistle, captaining the team in 1968, 1969, and 1970. He eventually joined St. Mirren, which loaned him to the Atoms in 1973. Even prior to joining the new team, O’Neill had Philadelphia connections, being married to a 1965 graduate of Cardinal Dougherty High School. 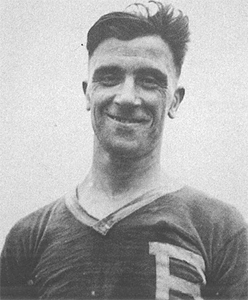 O’Neill was an essential component of the Atoms’ title winning side, starting 17 games and leading the team in assists with 9. Shockingly, while the Atoms placed seven of their 11 starters on the NASL first and second all-star teams, O’Neill was not one of them. He was, however, capped twice by the U.S. National Team that year, as he had obtained American citizenship by virtue of his marriage to an American girl. O’Neill remained with the Atoms throughout the rest of their existence. He appeared in 19 games in 1974, but his 1975 season was cut short by a broken leg after 5 appearances. He was one of the few members of the original Atoms to remain with the team in 1976, when the club was purchased by a conglomerate of Mexican teams and fielded a mostly-Latin lineup. George appeared in 11 games, scored two goals, and probably gained some fluency in Spanish along the way. After the demise of the Atoms, O’Neill remained in the area, coaching the Bayern club in the city’s United Soccer League. In 1978 he was named coach of the Philadelphia Fever of the Major Indoor Soccer League, leading a team comprised mostly of United League stars to the finals in the league’s inaugural 1978-79 season. Never able to repeat that success, he remained with the club until he was axed in 1980. He also served as assistant coach of the Philadelphia Fury in 1979. After leaving the pro ranks, O’Neill was eventually hired to coach the University of Pennsylvania’s soccer team in 1993, compiling a 28-47-4 record before being fired in 1997. While the 1973 Atoms were renowned for their stifling No Goal Patrol defense and Bob Rigby’s still-standing professional goals against average record of 0.62, the team’s most popular player that year was a wee Scotsman from Greenock named Andy Provan. At 5’5” and a solid 140 pounds, Provan’s stature combined with his incredible leaping ability earned him the nickname “The Flea.” A Scottish youth international, Provan was loaned to the Atoms by Southport, a Third Division side in England, just prior to the 1973 season. Combining up front with Jim Fryatt, Provan scored the first goal in team history in the Atoms’ third match, and ultimately led the team in goals with 11. He cemented his reputation in Philadelphia after getting into a brawl on June 6 with the Cosmos gigantic Bermudian striker Randy Horton. He further earned his way into the heart of Philly fans by being photographed in tears after being advised that he would have to miss the final against Dallas because of Southport recalling him from his loan. A first team all-star and first runner up in MVP voting in 1973, Provan returned in 1974, and picked up where he left off, scoring four goals in the first half of the season opener against Washington. Andy scored two more goals in the next match, then suddenly went cold, not scoring again for almost two months. 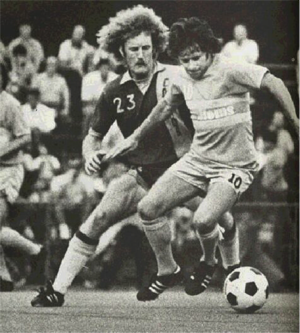 Although again finishing as the team’s leading goal scorer with 9, Provan was not brought back for the 1975 season–largely because a Third Division player could no longer keep up in the rapidly improving NASL. After leaving the Atoms, Provan finished his career with Torquay United, scoring 14 goals in 91 matches before retiring in 1976. Remember when a really egotistical Philadelphia coach shipped off his top scorer and the team’s most popular player to Vancouver for practically nothing after a successful second season and playoff run? You do, eh? What if I told you this happened in 1980, and the player was David Robb? Born in Broughty Ferry, Scotland in 1947, David Robb had a successful career at home, scoring over 100 goals for Aberdeen and making several international appearances for Scotland. In 1977, Robb was acquired by the Tampa Bay Rowdies from Norwich City, and he scored a respectable 8 goals in 15 games that year. 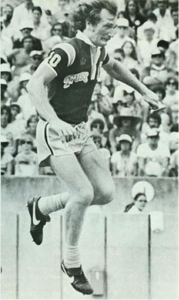 Although he followed that up with a productive 13 goal performance in 1978, the Rowdies nevertheless sent him to the second-year Philadelphia Fury for a song prior to the 1979 season. In a city desperate for soccer heroes in the wake of the Peter Osgood disappointment, Robb happily stepped into the role, netting a hat trick in the team’s first home game and scoring 16 for the season while leading the Fury to the American Soccer Conference semi-finals that year. A marked man, Robb also drew 67 fouls and five yellow cards on the year. 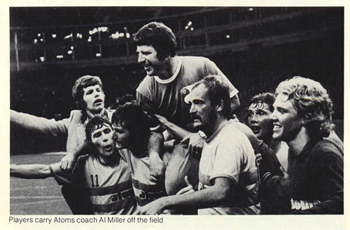 The team’s improbable playoff run energized the city’s soccer fans, and they were even more excited about the 1980 season after the team announced it had signed former New York Cosmos coach and three-time NASL champion Eddie Firmani to run the team. Alas, Firmani had a bit of an ego, and believed he was a better judge of talent than his predecessors. Thus, his first move was to sell Robb to the Vancouver Whitecaps for a song. With him went the Fury’s goal scoring prowess and his absence—coupled with an early season injury to Pat Fidelia—resulted in a dismal season and an eventual relocation to Montreal for the Fury. On the other hand, Firmani may have been on to something—Robb was a flop with the defending NASL champions, scoring no goals in 15 games before being shipped to the Tulsa Roughnecks. While Robb scored a respectable 4 goals in 12 games with that side, he called it a career at the end of the season, finishing with 41 goals in 99 NASL matches. Of course, there are many other Scotsmen worthy of mention in Philadelphia soccer history—Eddie McIlveney from the 1950s Philadelphia Nationals powerhouse, who also played for the U.S. in its 1-nil upset of England in the 1950 World Cup; practically the entire 1921-22 ASL champion Philadelphia side—and these fine players may one day rate a piece of their own. In the meantime, here’s hoping you’ve enjoyed remembering some recent Scots heroes in the City of Brotherly Love. What, no mention of the Kensington Bluebells? Well, no…it was a pro-centric article. If I got into the amateur leagues I’d have an article so large it would crash this already-fragile site! I DID forget to mention Robb’s other great talent…he was great at predicting what side a penalty kick taker would go. I think Keith Van Eron and Bob Rigby led the NASL in PKs saved, and both said it was because they’d follow Robb’s guess.